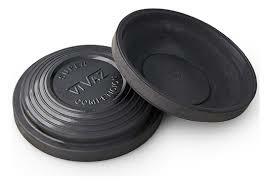 A lot of people really don’t take into consideration the importance of target color when it comes to throwing clay targets. A lot of times you’ll just go out to Walmart or wherever to buy a case of targets, and they are all orange. Actually there’s quite a few different color targets that are available. The intent is to make it as easy as possible for the shooter to see depending on the background, the terrain and everything. The choice of target color can really be to make the difference between that – being able to see the bird and not seeing at all. In some cases, some people have colorblindness and some certain colors. So the most common target color is probably an orange and a black bottom. Majority of the shooting ranges you’re gonna be shooting at are gonna be throwing the orange clay target most of the times. For those who have a red-green color blind, the orange targets will give a problem because the target would blend into the background and it will just disappear. The worse thing that fear for a shooter is when they have a target that presented to them but they can’t see it because the target disappears in the background. So everything that you try to do in terms of target setting is trying to pick a color that works against the background that you’re dealing with. So it’s really probably one of the parts of the aspects of the game that a lot of people don’t take into consideration. So as an example there is a black bottom target and also an orange target which got an orange bottom. 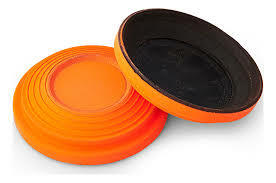 The advantage of the orange dome and orange bottom target is that if you have a target as being thrown high up in the air coming in at the shooter and there was like a driven type target, a black bottom target will show the black against the background and it’s very difficult to see. That’s where we use something like the orange dome and bottom orange thrown in and it’s very easy to pick that target up for a shooter. Orange target is the only one that we have seen were painted bottoms of targets and we don’t know why that is, because the other targets are probably just as useful as the orange. The next color target we’re gonna look at here is the bright green. It’s surprising that the orange targets show up really good against the green background and you would think this green target would not show up against the green background. But it actually does and it is just because of the intensity of the green target make it shows up very well against forested backgrounds. 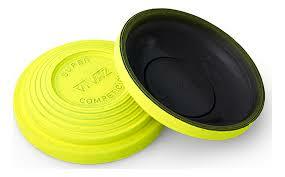 Shooters who might had an eye problem also admit that the green actually pops better than the orange target. Another thing that really important to consider is the choice of your lens color. The color of your lenses will make or break in terms of the ability to see the target. Some colors will really accentuate the orange depending on color or lens choice colors and the other ones will wash it out. 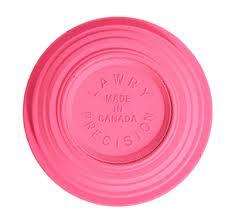 This is a pink target. This target is initially came out as a target for the breast cancer awareness shoots that were happening a couple years ago. People discovered that these pink targets jumped out so much in terms of background. Its were highly visible that shooters started asking if the manufacturer can make it more then just for the breast breast cancer awareness shoots and now you’re gonna see this targets actually quite frequently at a lot of shooting clubs. If you had a single color to go to, these pink target seemingly stand out, at least for us. Everybody can see it. It’s very interesting that if you go asked different shooters of different ages, you will get a different answers. 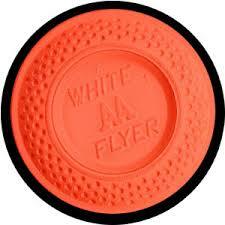 Younger shooters will see the orange target really well but older shooters may had trouble with orange. But it seems like everybody sees pink extremely well, it just show up for everybody. 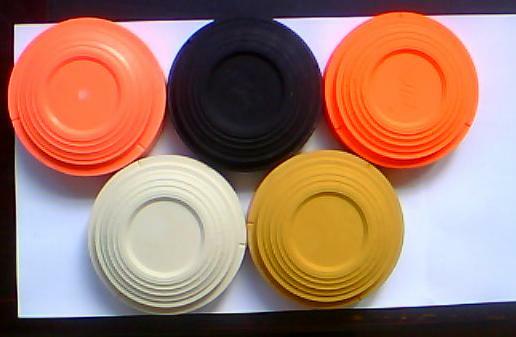 There is also an orange dome black rim target. The reason for this and this kind of sounds counter intuitive, but if you shoot down in Southwest desert like Arizona or something like that, all you’ll see is black shiny targets thrown down in the desert Southwest. In the desert, the whole entire terrain literally starts about six feet off the ground and it goes up and it’s blue sky from there. You would not think that you would be able to see this black target against a blue background but it really jumps out. It’s so easy to see black targets against a blue background but you wouldn’t believe that when it against a white clouds backgrounds, in my experience they don’t show up very well. The orange dome-black rim target is use when you throw a target that starts out basically below the horizon and ends up above the horizon. The orange dome allows the shooter to basically pick up on the bird as it’s traversing against the background and then when it gets up into the sky, what you then pick up on is the black rim of the target.